Sad news for Manor #F1 racing fans at http://www.LiveF1chat.com/fan/Manor today. Manor Formula 1 team rescue hopes end as 2017 FIA entry withdrawn - Autosport has learned that Manor's chief Stephen Fitzpatrick has written to the FIA to notify it officially that his team was withdrawing from the F1 championship. 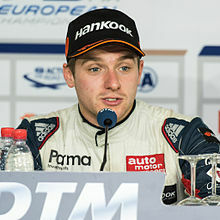 Its especially hard on younger drivers like Jordan King "For everybody in my position as a young driver, it becomes a lot harder when the grid shrinks." Tivo finding Cord Cutters are "cheap"